Turn those frowns upside down again! 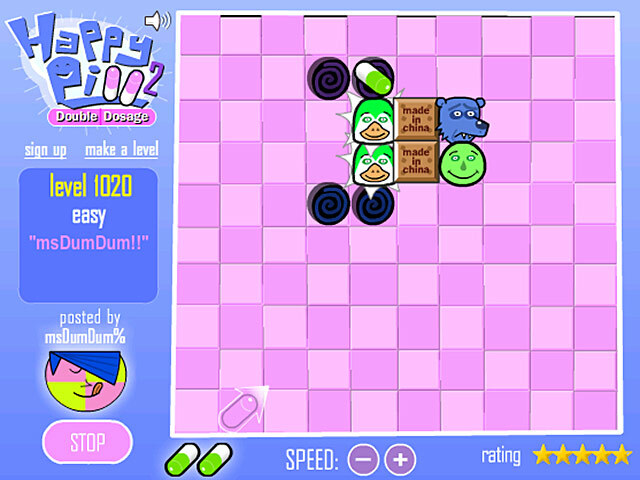 Happy Pill 2: Double Dosage offers level after level of smile-inducing puzzle fun.Time to take your puzzle medicine!Turn those frowns upside down again! 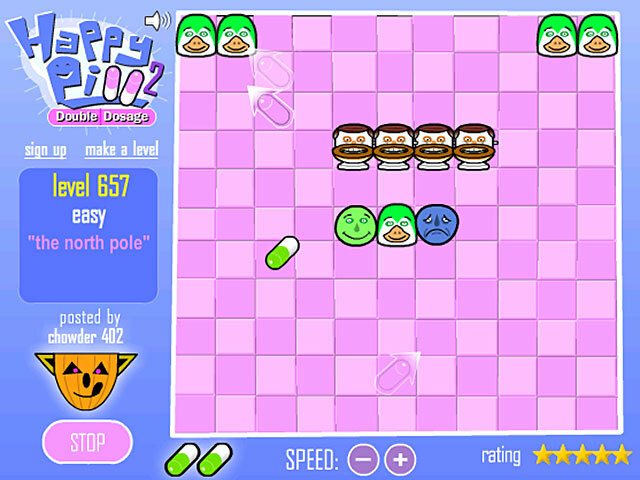 Happy Pill 2: Double Dosage brings this bouncy online puzzle game back with more complex levels and smile-inducing new puzzle pieces. Bounce the happy pill so that it hits all the sad blue faces. 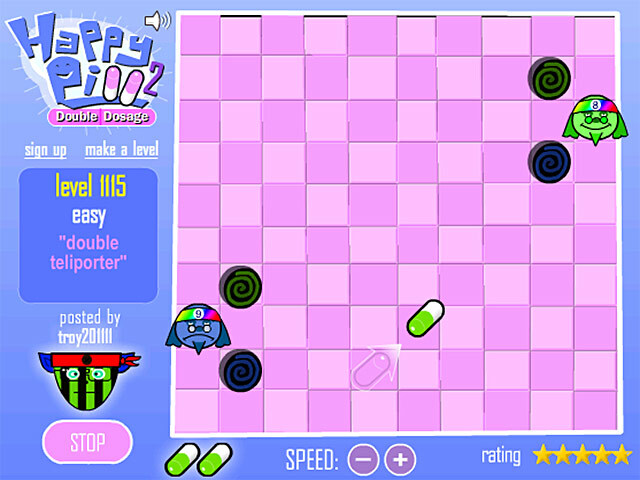 Use your mouse to place the happy pill on the puzzle board, and click to fire the pill. 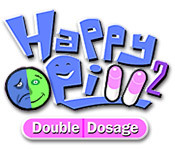 Join Bi-polar Bear, the Hippy, and Morose Ghost and start smiling when you play Happy Pill 2 online for free.